Sign-up for severe weather alerts now! 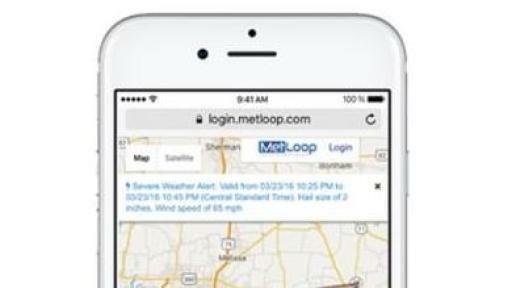 MetLoop set to release severe weather alert app. MetLoop, the severe weather monitoring technology company, is interrupting the status quo of weather forecasting by utilizing a highly sought after military grade weather system; turned enterprise. The key feature of the software system being the ability to provide severe weather alerts at specified addresses and locations. The Dallas based company is also providing all consumers, including government agencies, local municipalities and businesses with an on-call meteorologist service that pinpoints real-time weather (forecasting 30-60 minutes in advance) to any site specific location or mobile device. Leading the charge is tech mogul, David Carlson, MetLoop’s co-founder and newly elected CEO. The site-specific U.S. meteorological data is being made available for both consumers and resellers using a rapid-deployment cloud based software-as-a-service (SaaS) business model. The new alert-based line of software will be provided across multiple mobile devices, scaling opportunities across multiple market verticals. The invaluable data boasts a 95% accuracy being developed around the clock from MetLoop’s Weather Command Center, in Fort Walton Beach, Florida, where MetLoop (NEXRAD certified) meteorologists analyze and publish weather alerts for government, academic researchers, industry experts and consumers. MetLoop will roll out three new subscription-based software product lines in fall 2016 to include a mobile app, highly customizable desktop software, and enterprise interfaces. MetLoop Executive Management is working to provide the market with content on new types of technology – and its implementation – required to secure transmission of time-sensitive weather data. 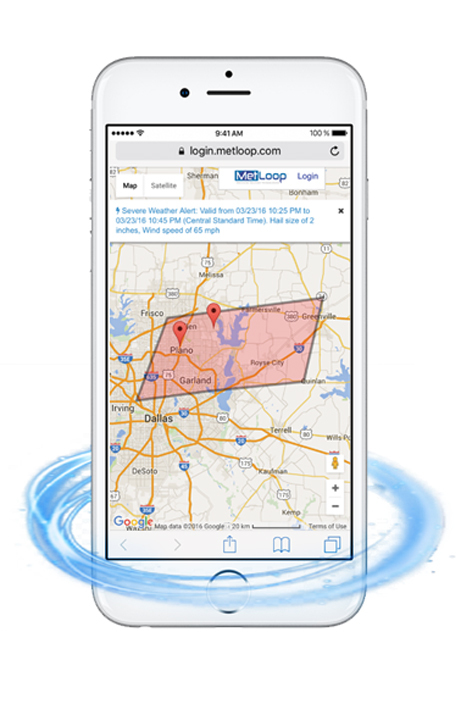 The MetLoop team has the reaffirmed mission of becoming the most advanced weather company in the world, made available in the palm of your hand. For more information on this topic or to schedule an interview, please contact Dominique Villela, at 1(800) 946-8188 or email dominiquevillela@metloop.com.